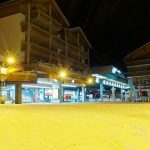 On Saturday 16 January 2016, two free riders died in an avalanche in Riddes/La Tzoumaz, one of the valleys in “Four Valleys” ski domain that includes Verbier. 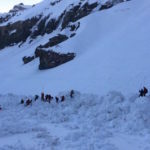 According to Valais police, a call for help was made at 14:30 by a third party who reported that four people had been swept away in an avalanche. Several helicopters flew in with rescue experts equipped with dogs. Guides and ski patrol staff working for the lift operator Téléverbier were also involved in the rescue. All four were found but tragically two were dead. The dead were a 26 year-old Austrian and a 34 year-old German, who was living in the area. All four had airbags and some had participated in world freeride competitions. One died after being swept into a tree. The second victim, found dead under the snow, lost her airbag after being swept away by a plate of snow. The avalanche was 200 metres wide and 250 metres long. Another person was caught in an avalanche in the same region the day before in Col de la Mouche, Nendaz. Luckily the 29 year old Belgian was saved. A 23 year-old Swedish woman who was not as lucky, died in the same place in 2012 according to the newspaper Le Nouvelliste. These fatalities bring Switzerland’s avalanche death toll to five so far this season. 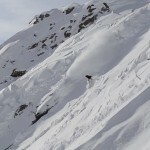 According to the Swiss Institute for Snow and Avalanche Research (SLF), there have been three backcountry deaths and two off piste deaths so far – backcountry includes ski or snowboard touring, snow shoeing and mountaineering, while off-piste skiing and snow boarding generally means skiing accessed from ski areas. 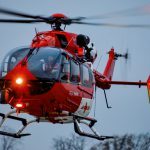 In the first three months of the season there was only one death, which occurred in Piz Palu in the canton of Graubunden on 24 October 2015. The first 17 days of January 2016 however have seen four more avalanche deaths. The beginning of last season was even deadlier. By 17 January 2015, there had been seven avalanche related deaths in Switzerland. And by 6 May 2015 avalanches had claimed 35 lives, last season’s total. SLF defines a season as the hydrological year, which starts on 1 October and runs until 30 September. There are around 20 to 30 avalanche related deaths in Switzerland every year – click for SLF chart. Over the last 20 years more than 90% of these have occurred off-piste or backcountry touring. The two deadliest regions are unsurprisingly those with the most mountains: the cantons of Valais and Graubunden. The size of the blue dots on the map above indicates the number of deaths over the last 20 years. The largest dot covers the “Four Valleys” ski area. The Valais police have called on people not to go off-piste if they lack the necessary knowledge and experience and are not with mountain guides or very experienced people. Unfortunately, even experienced guides and their clients sometimes get caught in avalanches. A sobering SLF study (in French) shows the percentage of avalanche victims who were guided. In the roughly five year period to 31 March 2006, 18% of victims were guided. The study does suggest that guides got better at their job. In the 1980s 38% of those dying in avalanches were guided – the definition of guide includes mountain guides, ski instructors, backcountry guides, youth and sports instructors, members of the army and in two cases school teachers.